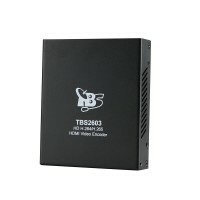 TBS6205 is a DVB-T2/T/C TV quad tuner card with PCI-Express interface, it can be used for watching four different channels from four different frequencies simultaneously, and it su..
TBS6209 is a DVB-T2/C2/T/C/ISDB-T TV Octa tuner card with PCI-Express interface, it can be used for watching eight different channels from eight different frequencies simultaneousl..
TBS6281SE is a dual tuner PCI-Express interface DVB-T2/T TV Tuner Card which supports watching or recording two different channels from two different frequencies simultaneously. 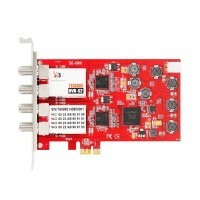 TB..
TBS6290SE is the latest DVB-T2/T/C PCI Express tuner, it’s equipped with dual tuner and dual CI slot, which allows you to enjoy two live terrestrial TV channels from two different ..
TBS6504 is a Quad PCI express TV tuner card that supports multiple digital TV standards including DVB-S2X/S2/S/T2/T/C2/C/ISDB-T, four RF IN is independent with each other, with thi..
TBS6514 is a DTMB/DVB-C Quad tuner TV card with PCI Express interface, it can be used for watching four different channels from four different frequencies simultaneously, and ..
TBS6522 is a Dual PCI express TV tuner card that supports multiple digital TV standards including DVB-S2X/S2/S/T2/T/C2/C/ISDB-T, four RF IN is independent with each other, with t..
TBS6528 is a PCI Express TV tuner card that supports multiple digital TV standards, including DVB-S2/S, DVB-T2/T,DVB-C2/C, DVB-S2X and ISDB-T. 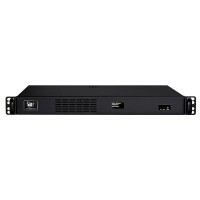 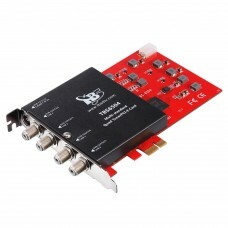 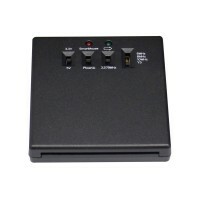 It is built with Common Interface whi..
TBS6590 multi standard dual tuner dual CI card is a twin tuner card for watching or recording two different channels from two different frequencies simultaneously. 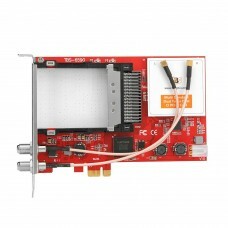 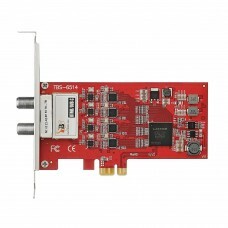 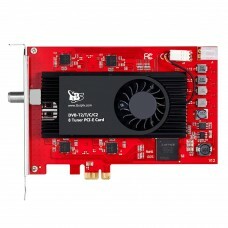 TBS6590 supports..
TBS6704 is an ATSC quad tuner PCIe card for receiving ATSC, 8VSB and Clear QAM cable TV on PC. 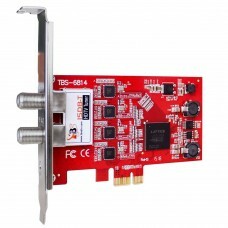 This quad tuner card allows you to watch and record up to 4 over-the-air (OTA) digita..
TBS6814 is an internal ISDB-T quad tuner PCIe(PCI-Express) card for receiving SBTVD TV and digital terrestrial TV channels on desktop PC. 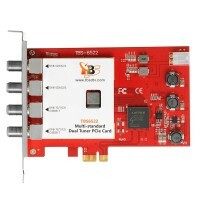 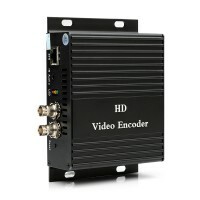 With four advanced ISDB-T tuners..
TBS6902 PCI-E DVB-S2 Dual Tuner TV card is a PCI Express interface digital satellite TV Tuner card for watching and recording Free to Air satellite TV on desktop PC. 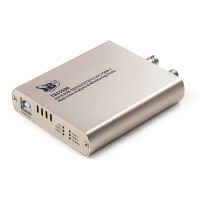 With two tuner..
TBS6903 is a Professional level digital satellite TV Tuner card with PCI Express interface. 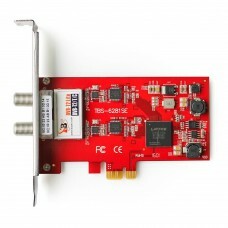 TBS6903 supports not only normal DVB-S2/DVB-S QPSK, 8PSK which is supported by normal sa..
TBS6903-X is a Professional level digital satellite TV Tuner card with PCI Express interface. 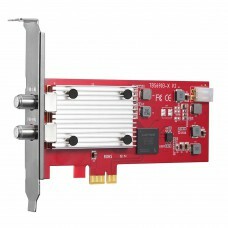 TBS6903-X supports not only normal DVB-S2X/S2/DVB-S QPSK, 8PSK which is supported..
TBS6904 is a PCI Express interface digital satellite TV tuner card with four tuners for watching and recording Free to Air (FTA) satellite TV on PC. 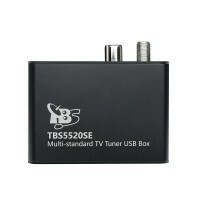 The four advanced DVB-S2/S tune..